What is an essay template? 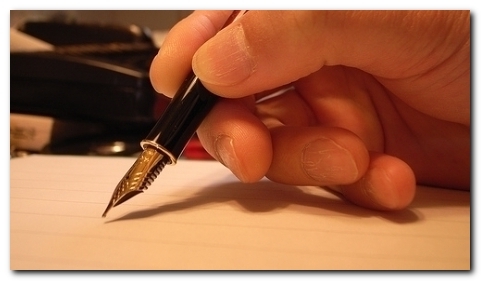 An essay template is a list of steps to follow when writing an essay or a term paper. The list provides you with a ready-made structure for the essay and a series of instructions on what to write. If you follow these instructions, all you need to do is fill in the details of your responses to the question you have been asked to answer, or the topic you have been asked to discuss. The presentation style of essays and term papers varies from one subject to another. The suggestions that follow are generally suitable for subjects in the arts, humanities, and social sciences. It is only in the final two stages — creating structure and a plan — that you will need to start using the essay template. The essay title or the question you have been asked to answer should be written out in full at the head of the essay. Put the title in bold and as an optional extra you might wish to increase the font size very slightly. Do not underline the title. This makes the text harder to read and looks unsightly. If the title is short, you might wish to capitalise the main words (Hobbes’ Leviathan and the Age of Reason). If the title or question contains a quotation, put the quotation in single quotation marks. If the question contains a book title, remember that book titles are shown in italics. The essay title or question should be followed by a double space. The introduction to an essay should be directly relevant to the question or topic(s) you have been asked to discuss. You should aim for a bright and crisp opening statement that will be interesting and seize the reader’s attention. Do not merely restate the question, and avoid repeating the same terms in which it is posed. You may wish to translate the question into your own words, paraphrasing it as a demonstration that you understand what it calls for. The introduction should not normally be more than five to ten percent of the total length of the essay. A paragraph of two hundred words on the first page should normally be enough. Do not begin the essay by saying how hard it is to answer the question. Questions are set to pose problems: your task is to answer them. You can however name or outline any difficulties – so long as you go on to tackle them. There is a simple solution. Write the introduction last of all, when you have finished the first draft of the assignment. The body of the essay should be constructed from a number of arguments or topics related directly to the subject under consideration. These might be topics, ideas, observations, or instances from your study materials. Each of these topics or arguments should be dealt with separately in its own paragraph (see below). Arrange the points so that they form a persuasive and coherent argument. This will help you to create a clear structure. A paragraph should deal with just one topic or major point of argument. That topic should normally be announced in the opening sentence, which is sometimes called a ‘topic sentence’. The sentences which immediately follow the topic sentence should expand and develop the statement, explaining and relating its relevance to the question in general. This opening should then be followed by evidence to support the argument being made. You should provide illustrative examples which are discussed as an explanation of the central idea. The recommended structure of a typical paragraph in academic writing is as follows. It is rather like a smaller version of the structure of a complete essay. Put double spaces between each paragraph. The conclusion of an essay should draw together all the previous points of your argument into one general statement which is then directly related to the essay topic or the question you have been answering. The conclusion should not normally occupy more than five to ten per cent of the total length of the essay – rather like the introduction. Try to end the essay on a crisp note. This can sometimes be done with an appropriate phrase or a quotation. It should illustrate your argument and be directly related to the topic(s) in question. Do not simply re-state the original question, and if possible try to avoid using the same terms as those in which it is posed. 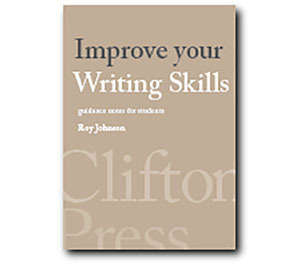 Avoid repeating any of the statements you have already made in your introduction. When you use quotations or mention someone else’s work in an essay, the source of the information is most conveniently given in endnotes or footnotes. Footnotes are more convenient for the reader, but much more difficult to control, even with the help of a word-processor. A bracketed number is placed in your text, as A.B. Smith suggests, ‘at the end of the statement or the sentence in which the reference is made’ (1), and successive references to this or other works are given the next higher number. 1. A.B. Smith, How to Use Endnotes Correctly, Manchester: The Imaginary Press, 1999, p.345. Judith Butcher, Copy Editing: the Cambridge Handbook for Editors, Authors, and Publishers, 3rd edn, Cambridge: Cambridge University Press, 1992, p.234. There are several systems of academic referencing and citation in current use – for instance the Harvard System, MLA System, and MHRA System. If you are quoting repeatedly from one particular work, give full bibliographic details in your first note. Then add the statement All subsequent page references to this edition. After that, just give page references in the text of your essay. A bibliography is a list of sources placed at the end of essays. It is a compilation of any works from which you have quoted or you have consulted during the composition of the essay. Terry Eagleton, Literary Theory, Oxford: Blackwell, 1983. Eagleton, Terry. Literary Theory, Oxford: Blackwell, 1983. List the items of a bibliography in alphabetical order of the author’s or the editor’s surname. Do not list works you have not consulted or from which you have not quoted. You might find that your bibliography repeats much of the information given in your endnotes or footnotes. Don’t worry about this: your bibliography may contain works from which you have not directly quoted.